The Library forms the fulcrum of any learning process. Reading is to the mind what exercise is to the body. 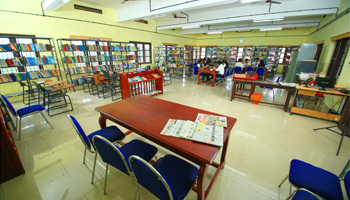 Our school library is equipped with a variety of books on a wide range of subjects, which indeed makes it a reader’s paradise. Apart from books, the library has good audio visual collection and multimedia material that are easily accessible by the students. 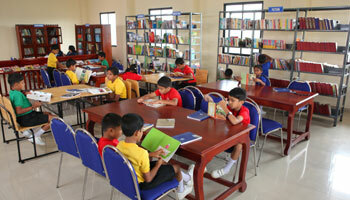 The primary section has a separate, spacious modern library with an array of books by authors from all walks of life which awaits the students in the specially designed library, and adequately caters to the needs of the younger students. To encourage the reading habit, there is a structured Reading Program rolled into the curriculum.